Do you wish to explore overhead environments including caves, shipwrecks, or virtual overheads of decompression diving? 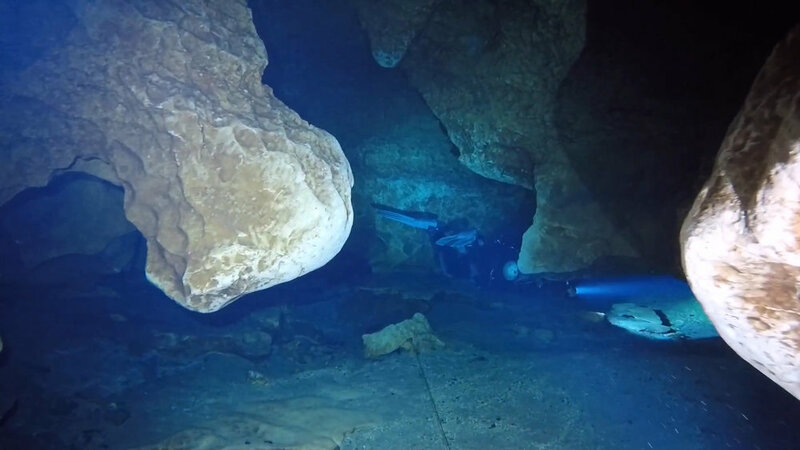 Cavern course is the first course you must take if this is the diving you want to begin. This course lays the foundation of cave diving skills within the light penetration environment. This class introduces you to new skills including proper propulsion techniques, reel work, gas management, and communication. This important class is recommended for all advanced divers to help you become a more proficient diver. A minimum of Advanced Open Water and Nitrox are required before taking this class. The class will be taught at one or two of Florida's springs in Northern Florida near Gainesville. The Cavern Diving course is packed full of challenging but fun scenarios that will teach you how to deal with real life cave situations. It is a significant amount of information and water time. Expect long days packed full of training material and diving. At the completion of this course and after gaining some experience in caverns, you will be prepared to begin the next level of training, the intro to cave diver course. If you are interested in take this course, contact Patrick Kiel for more information or to schedule a course.